This time around I thought we would have some fun and take a look at a few zany, yet sometimes applicable shots involving the point of the pocket. 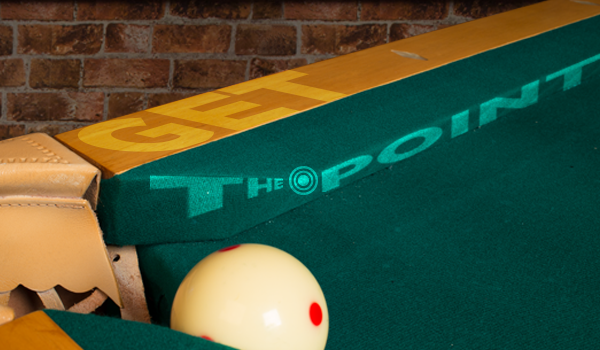 Most of these shots will never come up in a game, but make for a great little trick to show off to friends or maybe win a drink or two at your local bar or pool room. Shot number one is a unique cue ball scenario with two different ways to escape. 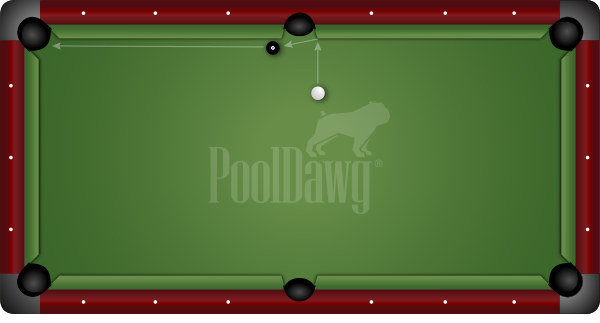 Figure A1 shows the eight ball hanging in the corner pocket and cue ball is frozen to inside of the point in the opposite corner pocket. 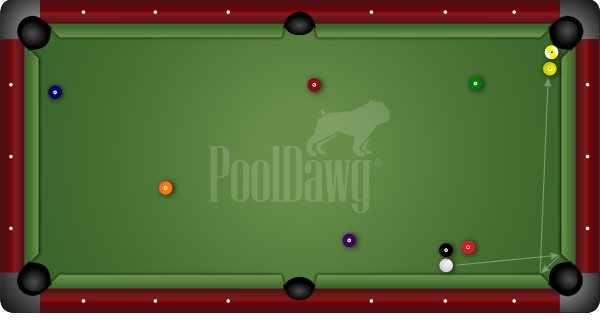 Now with a little practice you can make this eight ball by simply shooting the cue ball into the point of the pocket as shown. With a level cue, aim right at the point of the pocket and use a soft hit to make the 8 ball in the opposite corner. If you prefer something trickier, try the method in Figure A2. Shoot directly at the eight ball with a half tip of left hand spin. The cue ball will pinch out off of the point and pick up three more rails as it swings around the table to pocket the hanging eight ball. Use a half a tip of left spin and shoot straight at the eight ball with a level, firm stroke go three rails and pocket the eight ball. If that doesn’t impress your cronies, try setting up the shot in Figure B. Here we see that you are trapped and have no way of hitting the one-nine combination. If you give up ball in hand you will surely lose. This shot is executed by shooting directly into the point of the corner pocket, doubling back to the other point, and sending the cue ball straight down the end rail to make the game winning combo. With this shot a firm hit with a level stroke aimed directly into the point will cause the cue ball to double back toward the far pocket. Figure C shows another situation where you are trapped with no foreseeable escape. 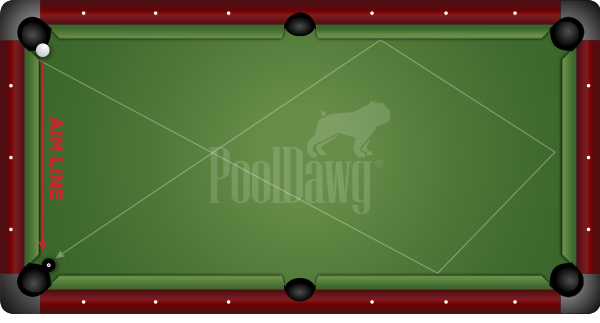 Just shoot into the point of the side pocket and the cue ball will slide straight down the rail and make the hanging eight ball. After you make this one your opponent might just give up on you. The key to this tricky shot is a half tip of top spin. Hit it soft and make sure your stroke is nice an level. I have actually seen this final shot made in competition. 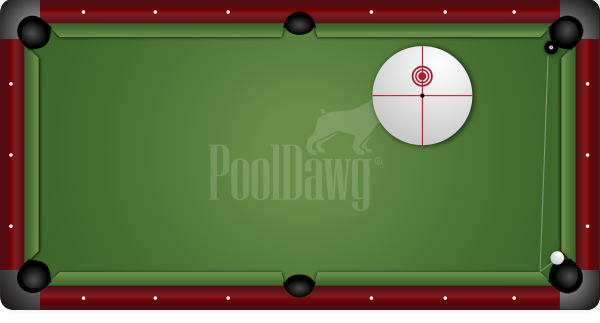 Figure D shows the eight ball sitting on the rail near the side pocket. This is a pretty tough place to end up in, but if you ever find yourself in this situation you will know what to do. 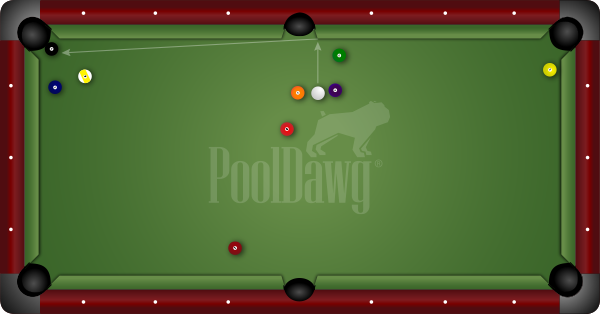 Just like in the previous example, with a little practice you can shoot directly into the point of the side pocket sending the cue ball directly into the eight ball, cutting it down the rail and into the corner pocket. Shoot this shot firm with a little left hand spin. This one requires some fearless commitment. All of these shots require a little trial and error. Every table reacts a little differently, but practice these and experimenting with similar shots can really come in handy in those rare competition situations. Most of these won’t present themselves as viable options in a regular game, but hey, have some fun with! Remember we play this game because it’s fun.